another day, another castle. on this day, another couple of castles. the next day was a very warm day. the forecast said it was going to rain, which thankfully didn't until late at night when we were on the road. Hohenschwangau Castle wAs the residence of King Ludwig II of Bavaria. 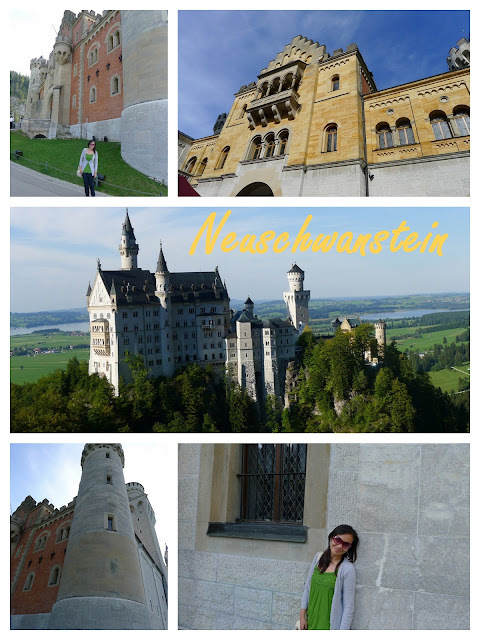 the castle was built on the remains of the fortress Schwanstein. 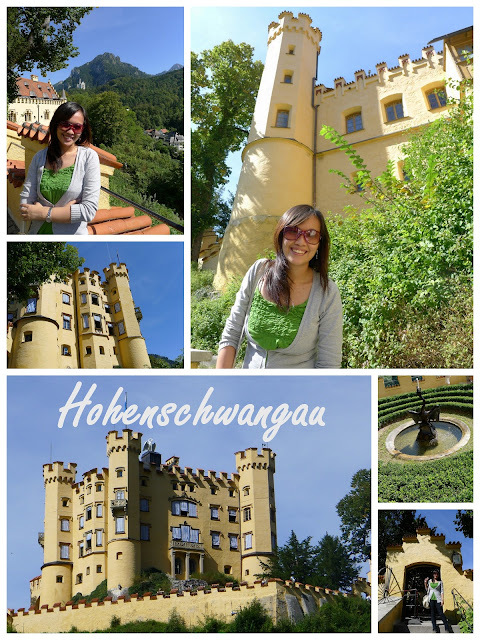 in the 1800's, then crowned Prince Maximilian II (father of Ludwig II) acquired the ruins and started reconstructing we have now as Hohenschwangau. this castle was the royal family's official summer residence. Hohenschwangau literally means High Swan County Palace. the theme for this castle was swans - you can see it in the garden, in the castle walls, even on top of the castle is a 3-meter long swan! King Ludwig II was a dreamer, he was lost in his imagination and in fantasies which made him build Neuschwanstein. the king admired Wagner's compositions and operas, thus this was said to be dedicated to Wagner and his work - the castle (which means - "New Swan Stone") was even named after one of Wagner's opera characters - the Swan Knight. this magnificent castle was built for just one person - King Ludwig II and his 50 servants. sadly, he never got to live to see the castle construction complete. i really am proud of myself during the conquests of the weekend. you have to walk and climb slopes and steep stairs to get to a castle, you just don't park your car and walk across the street to get into one! and boy, was it so tiring - i was gasping most of the time, being the only lady with grown men with longer legs running effortlessly ahead of me! but in the end, the view and architecture and being brought back to the age and time of royalty, a glimpse of how the royals lived and rekindling "princess" dreams - is much, much worth it.